If you have been arrested for a DUI (Driving Under the Influence) you’re likely to be facing some expensive fines, jail time, attorney fees, and license suspension. If you are convicted of the charge you will also find yourself participating in a California traffic school or more likely online traffic school.However, you have to be found guilty of CA ticket for the DUI first and that’s where your DUI rights come in, make sure your attorney is well versed in your rights. Often times, the charges can be reduced and traffic school online, may play a large role in your penalties. I got a ticket for DUI, what are my rights? If you are pulled over in the state of California and arrested for a DUI, your attorney will advise you of your rights. Most people do not know that nearly ever DUI arrest violates an individual’s rights in one way or another. Once a violation is found by your attorney, your case has a strong defense that can help ensure a much better outcome. What are some ways my right were violated during my DUI ticket stop? That you were the one actually driving the vehicle while under the influence of alcohol or drugs. Was the vehicle actually moving? Did the police officer actually have a legitimate reason for the traffic stop? Did the officer perform the proper field sobriety test? 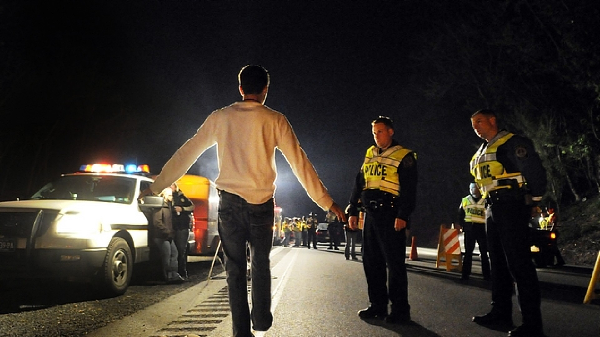 How long after the officer pulled you over did he/she have you perform the sobriety test? Was it just a breathalyzer test or was it the complete field test (walk on the line, finger to nose etc.)? Did other drivers/pedestrians witness the same driving behavior as the officer? Did poor weather conditions or debris in the road cause you to swerve or otherwise seem to be driving recklessly? All of the answers to the above questions will play a large part in whether or not your rights were violated and if your case is dropped or goes to court.Unless the arresting officer has you on camera behind the wheel driving your case will likely be masked if you plead not guilty, even if your breathalyzer test was positive. The most important thing to remember is that the charge is driving while under the influence. If you were involved in an accident and there were no witnesses that saw you driving, that does not prove you were driving, the officer or a witness must be able to prove you were driving the vehicle in order for you to be convicted of the DUI. If you were sitting in a vehicle with the motor off and intoxicated, that is not a DUI either. The officer cannot prove you had any intentions of driving the vehicle. The bottom line is – if no one can prove beyond a doubt that you were driving, in the state of California you cannot be convicted of a DUI. It’s called the No driving DUI/DWI defense. Sadly, in the event you were driving under the influence and the arresting officer did not follow protocol/procedure or demonstrated misconduct in any way, the charges are generally masked. There are some situations where only a few of the things that determine whether a DUI charge is admissible in court. For more information, visit: dmv.ca.gov You may be charged with a lesser offense and be required to take a California traffic school course. There are some situations where only a few of the things that determine whether a DUI charge is admissible in court. For more information, visit: dmv.ca.gov You may be charged with a lesser offense and be required to take a California traffic school course.